The Yellowtec Mika Series is a stylish, integrated system for mounting and positioning monitors in studio and workstation applications, giving an elegant visual appearance for all the 'desktop furniture' in a studio. 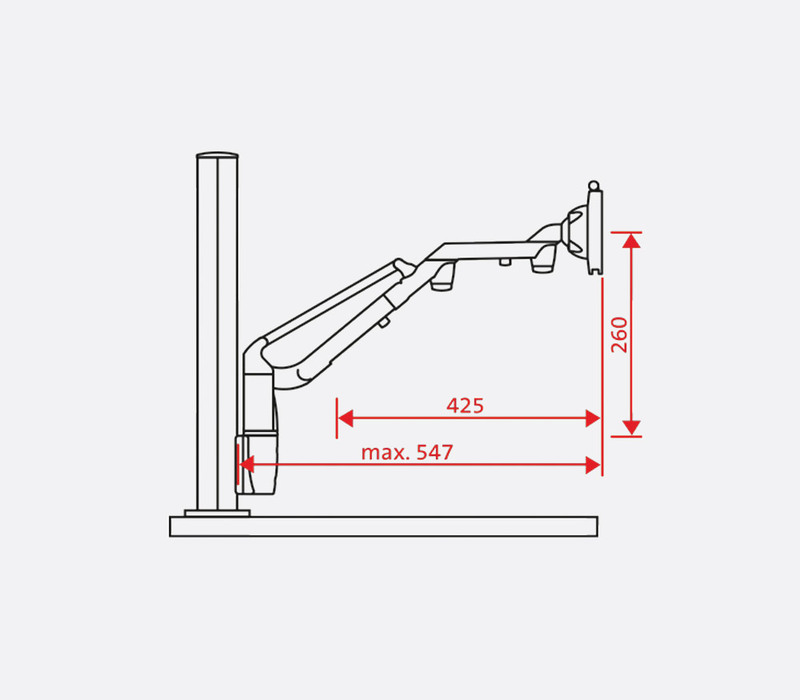 The folding monitor arm is a reinforced, two-part, articulated arm with VESA 75/100 standard attachment and quick-release catch and pole-clamp. 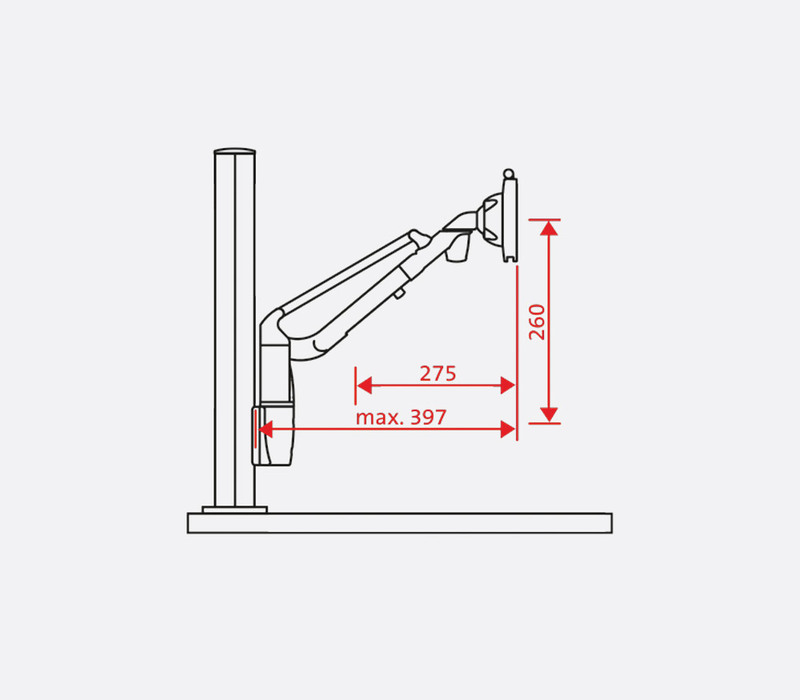 Monitors weighing up to 10kg can be pivoted horizontally for optimum location on the Monitor Arm XL and up to 15kg on the XS, M, and SL models. 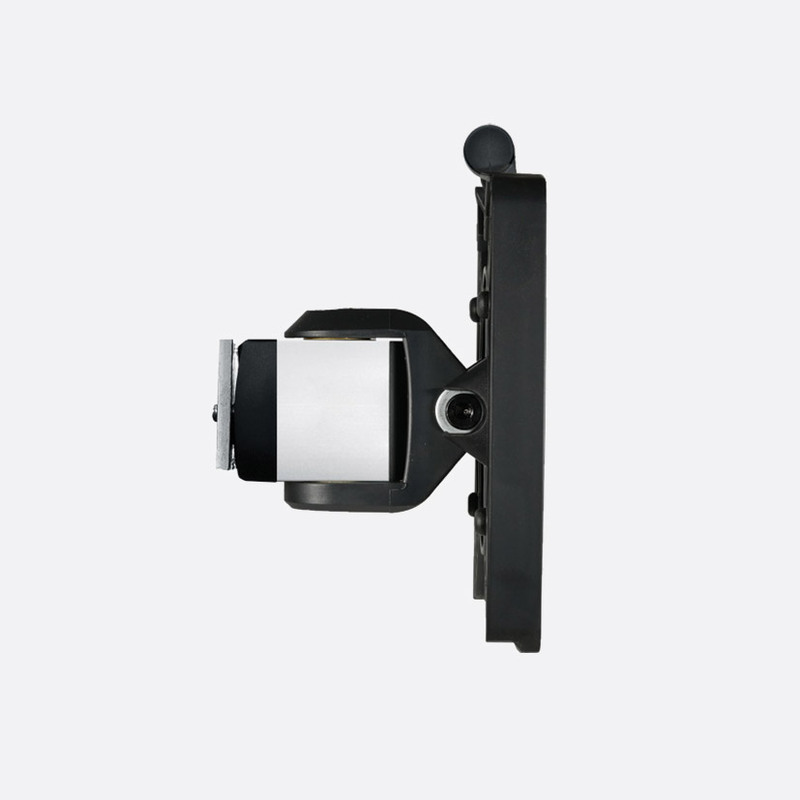 A sophisticated ball-and-socket joint at the end of the arm permits precise screen alignment for optimum viewing. The arm can be locked at any point vertically on the pole. 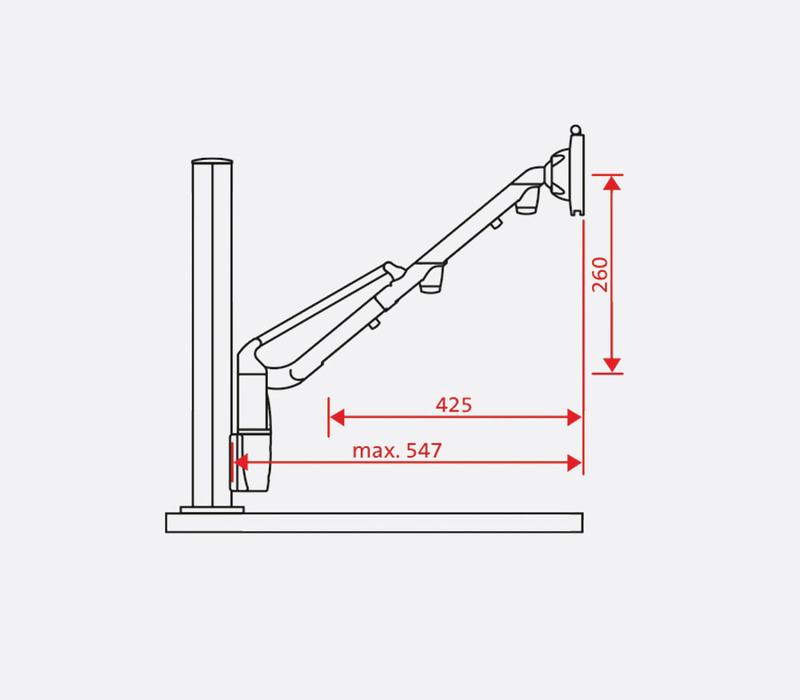 The Monitor Arm is available in four lengths, XS a swivel-only monitor support, M which has a turn radius of 505mm. XL which has a radius of 700mm and SL which has a radius of 450mm. All versions are available in either aluminium or black finish. These have the same usage as the standard monitor arms but they can also be raised and lowered to suit. They also offer the 'quickfix' system for VESA 75/100 standard monitors. 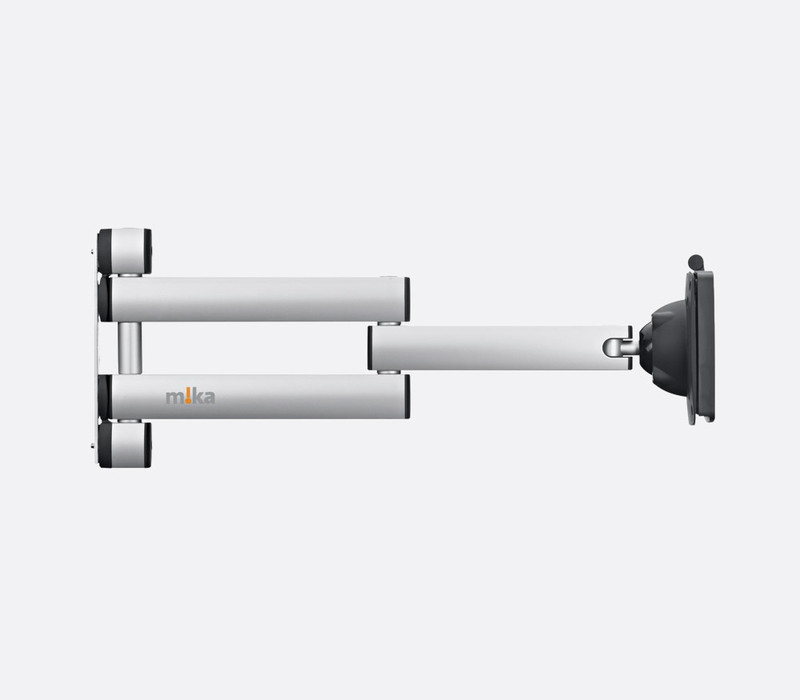 Three sizes are available; S (small), M (medium), and L (large); each size is available in two models, to support a choice of either a 3-8kg load or a 7-15kg load to best suit the monitor attached. Each has a swivel head that allow a horizontal range of 105degrees. Mika Monitor Arms and Mika EasyLift Monitor arms attach directly to Yellowtec MMS poles, see Yellowtec MMS System Poles. A variety of Yellowtec accessories can be purchased to compliment the monitor arms, see:'Yellowtec Accessories'.